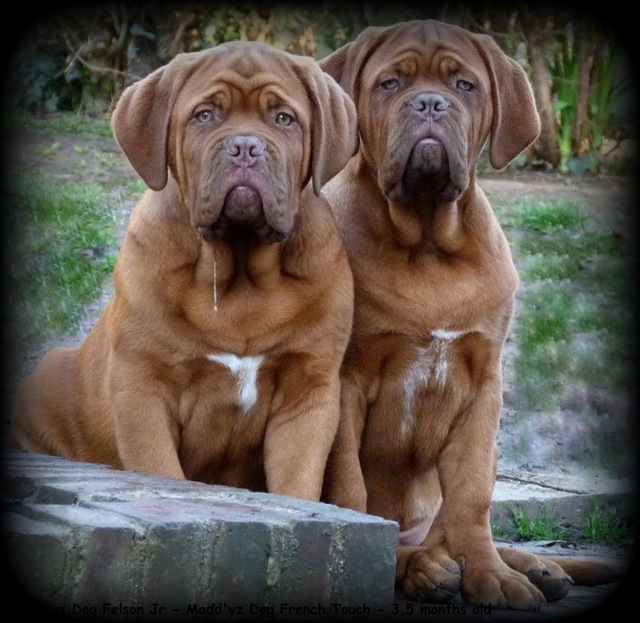 We are very happy to show you our dogs. 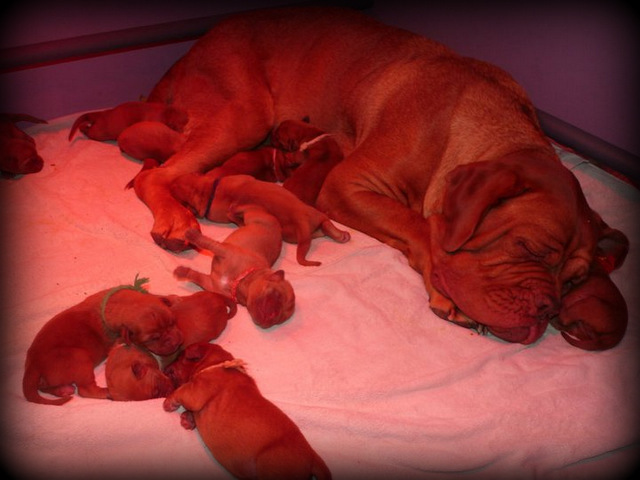 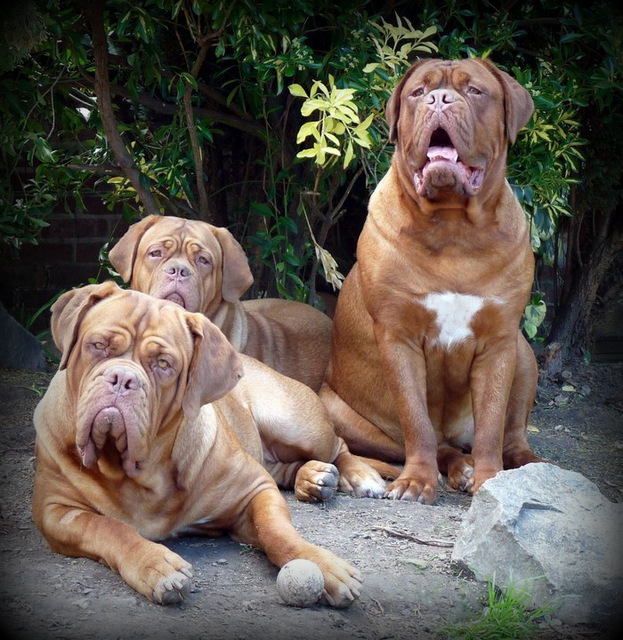 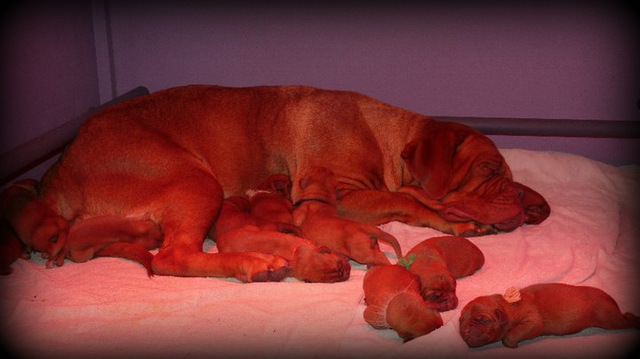 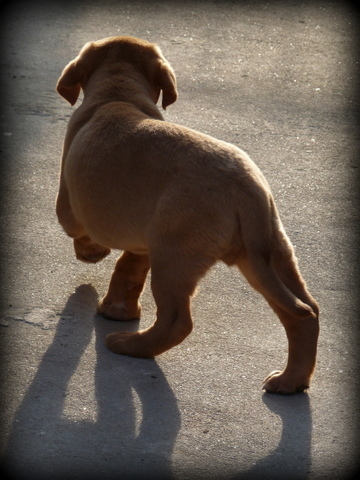 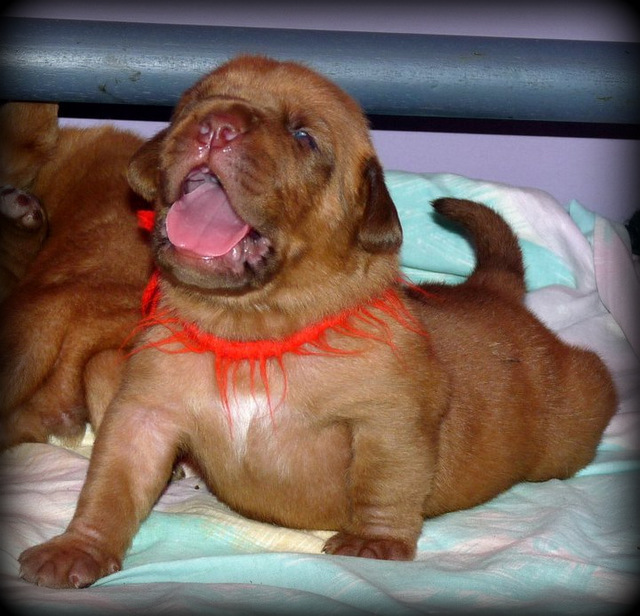 The Dogue de Bordeaux is really a fantastic breed, that we love so much, the one and only that we have decided to breed. 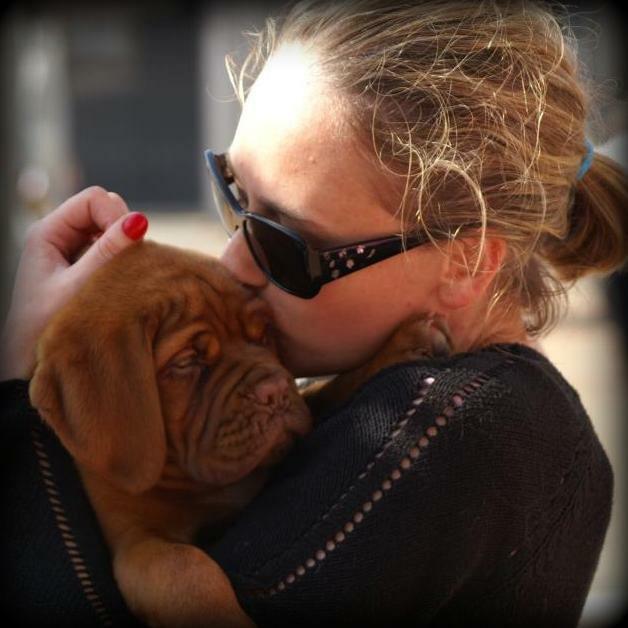 Our envy of a Dogue de Bordeaux borned few years ago, when we lived in Paris. 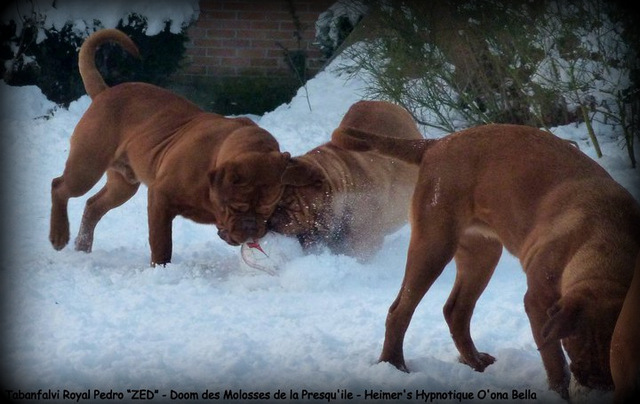 In 2008, after a long time of waiting and waiting, we bought our first Dogue de Bordeaux, Doom des Molosses de la Presqu'île. 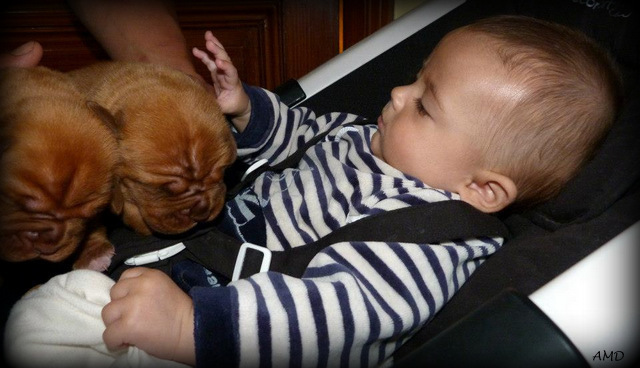 He borned a 5th of November, controlled our hearts and changed definitively our life ! 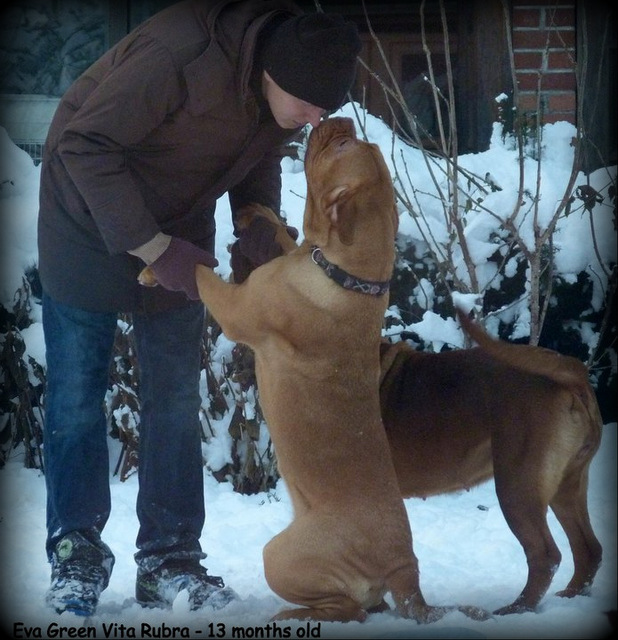 As an invitation to follow him in the adventure of breeding, Doom was THE DOG, who has given us the love for Dogue de Bordeaux. 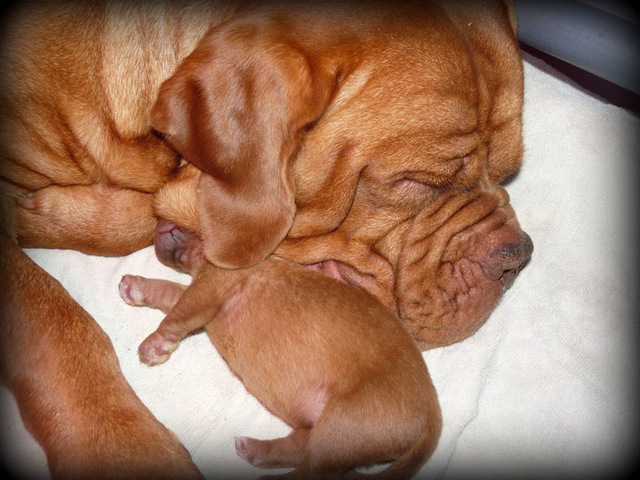 So, we have decided to grow up our four legs Family and to organize all our life around our dogs. 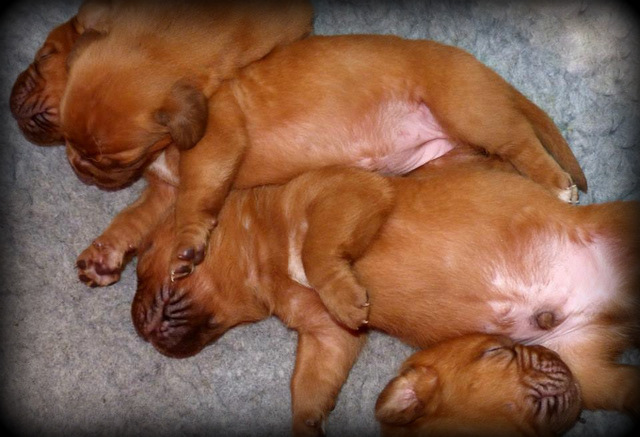 Our puppies born in our home and live all their first 8 weeks in our home. 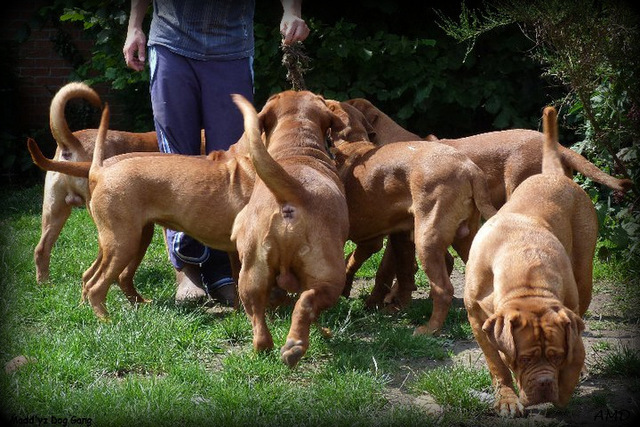 They are socialized with people, children and other dogs and they are a total part of our family. 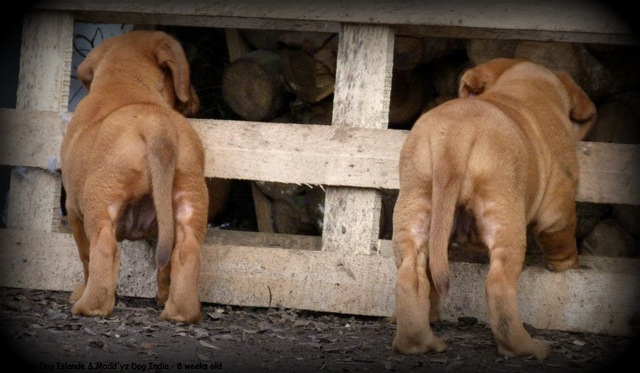 In general, they leave our home between 8 and 10 weeks, except when they must leave in very far countries, because it depends of the local laws of each countries. 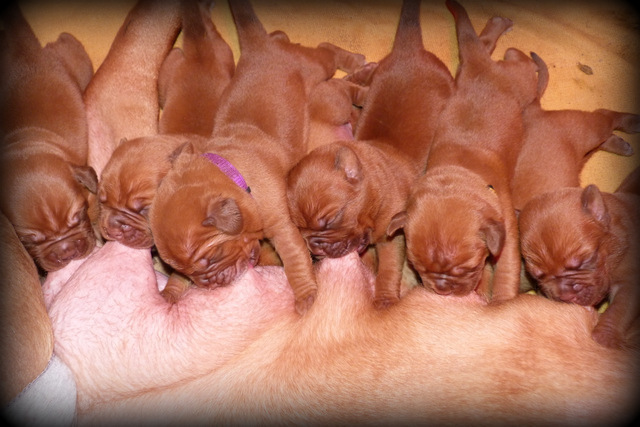 They have all a FCI export pedigree and they are vaccinated, microshipped and dewormed. 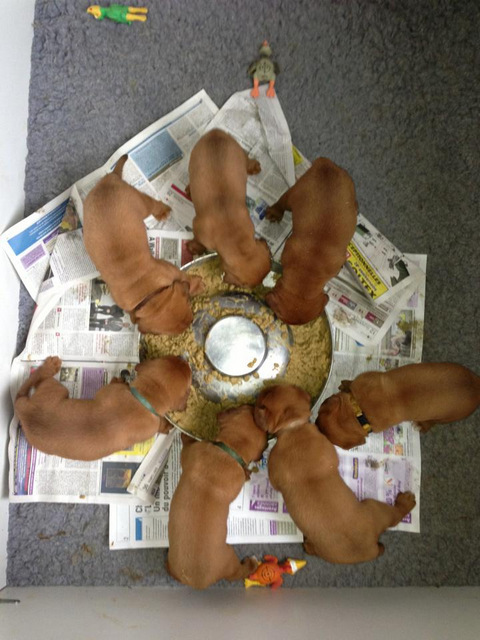 1kg from usual food of puppy. 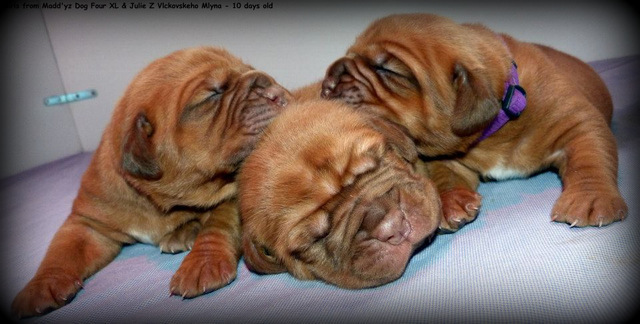 I love to have news of my puppies. 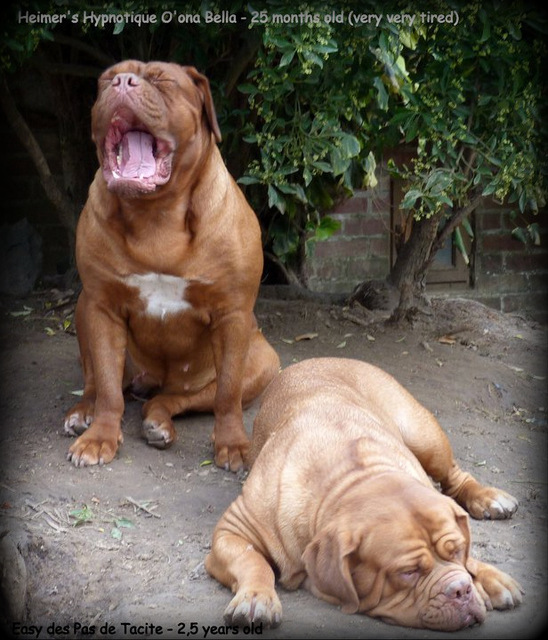 All my families around the world (Argentina, Uruguay, Brazil, USA, Israël, Luxembourg, Belgium, Netherland, Martinique, Guadeloupe, and of course France, .....) give me regularly news. 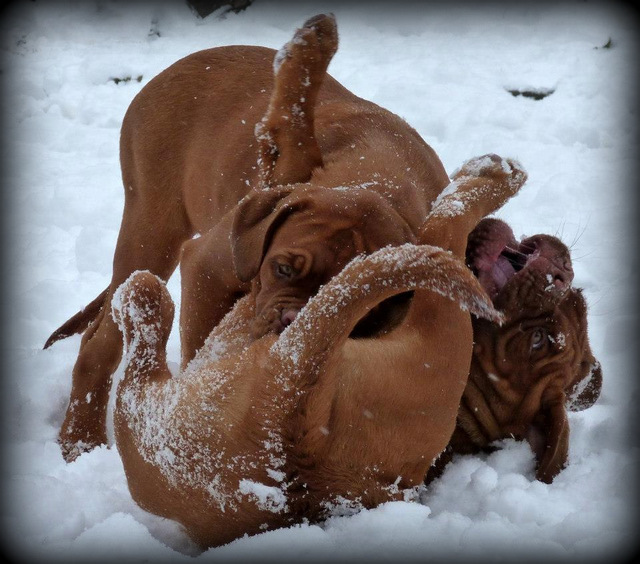 I will always available for any advices, in the good moments as in the wrong.